One of the latest, greatest developments in the Old School Ruckus has been in the field of dungeon geomorphs. Good geomorphs used to be hard to find. The original TSR geomorphs are functional, but I always found them way more cramped than I liked. Back in the day Erol Otus put out a set that was crazy intricate, but I've never even seen a copy for sale. 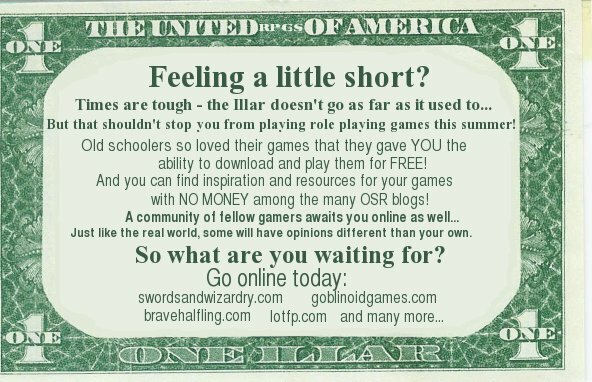 Kellri adapted them into one of his many ultracool free PDFs, which you can download here. Seriously, that dude is awesome. If you run AD&D1 or OSRIC you absolutely need to get Kellri's CDD #4 Encounters Reference. It's one of the most useful things ever made for AD&D. Others running with similar systems should check it out as well. Goodman Game's Dungeon Crawl Classic #9: Dungeon Geomorphs made a honest effort to revitalize the field, but that product had two flaws. First, many of the geomorphs lack personality. That's obviously a judgement call and you're welcome to disagree with me. But secondly and more importantly, they weren't done in the same scale as the TSR originals it was obviously imitating. Argh! Years later that still pisses me off when I think about it. 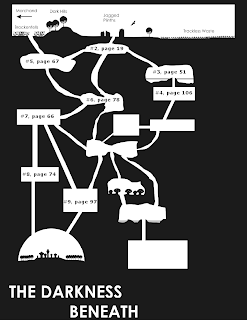 Every time I wanted to mix and max the two sets I'd have to resize one of the PDFs before printing and the results never lined up quite right. But recently the geomorphic field has exploded into a glittering sea of pure awesomeness. 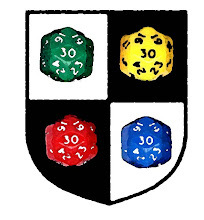 New contributors to the field include Risus Monkey, Dyson Logos of A Character for Every Game, Stonewerks, John over at The 9 and 30 Kingdoms, Brutus of This is Dice Country, Paul at Quickly, Quietly, Carefully, Coopdevil the FightingFantasist, Stuart of Strange Magic, Shane of Fictious Entry, Lapsus Calumni, Glenn at The Seeking Wing, the Rorschachhamster, 1nfinite zer0 of Reflections of a Forest in a Concrete Puddle and others that I am undoubtedly missing. All these righteous folks combine forces Voltron-style over at David Millar's awesome online Mapper, which is one of the bestest softwares ever made for roleplaying. 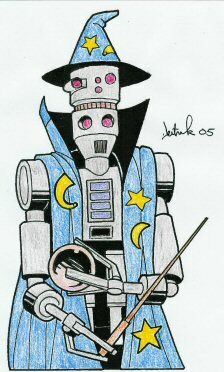 Seriously, Dave's Mapper ranks right up there with HeroMachine or Inkwell Ideas' Hexographer and Coat of Arms Design Studio. 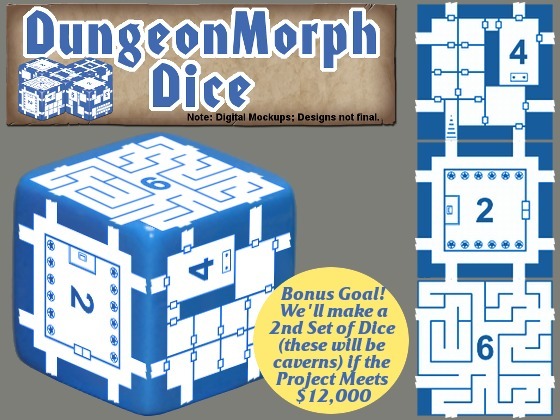 Speaking of Inkwell Ideas and geomorphs, has everybody heard of the DungeonMorph Dice project? For the longest time I didn't realize that Joe Wetzel, the dude behind that project, was the Inkwell Ideas guy. 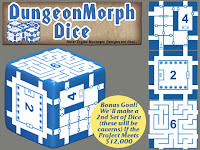 Since I didn't know Joe Wetzel from Adam, I had been silent about his kickass plan to put dungeon geomorphs on dice. I was kinda afraid to encourage people to check out his kickstarter funding project, for fear that they would be donating money to vaporware. But Inkwell Ideas has a proven track record of coming through with radical gaming stuff. 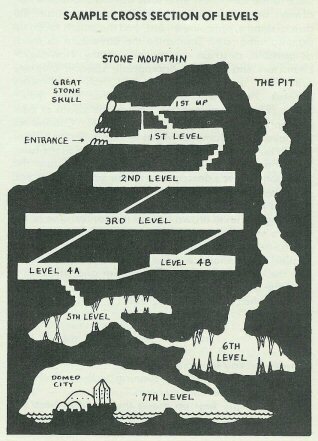 Alright, now that I've told everyone more than they probably ever wanted to know about dungeon geomorphs I can finally get to the point of today's post. 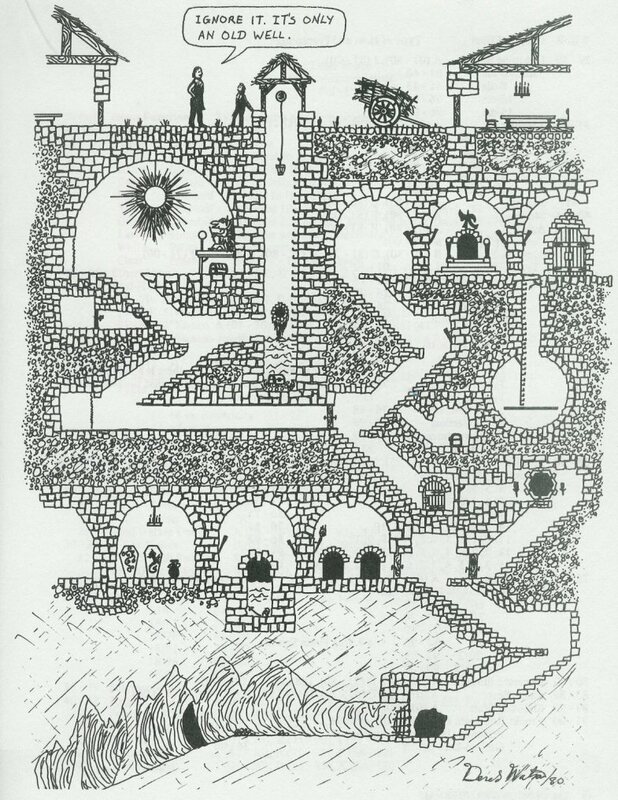 I have a challenge for all you geomorph makers out their: vertical dungeon geomorphs. Rotate the field of view 90 degrees and put the emphasis on pits, ledges, slides, shafts, stairs, balconies, vast open caverns, deep chasms covered by bridges, waterfalls, pools with underwater accessways, etc., etc. What I want is the ability to run a crunchy dungeon adventure with only a cross-section view. I prefer Old School Ruckus to any other term hands down. 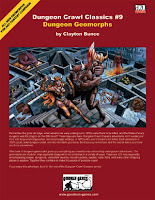 My favorite geomorph set -- and it tells you what kind of DM I was and still am -- was the City Geomorphs, which were never reprinted or reissued as PDF, to the best of my knowledge. I'd also strongly recommend the Judge's Guild Castle Book, Village Book, Temple Book, etc, series. I think JG still sell PDFs of them, and they're not at all hard to find cheap at larger cons. I don't know what that last cross-section is from...can anyone tell me? Thanks! 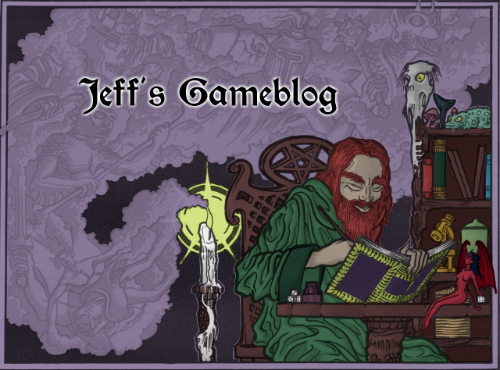 JB - That's from Dungeoneer Journal issue #23, IIRC. It does not illustrate anything from an article, but rather serves as filler. I had actually thought about this very thing but I got hung up on how to standardize the connections. But I think it can be done and now that the gauntlet has been thrown down I think I'll give it a shot. 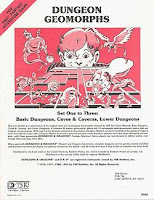 Can somebody please add Kellri's CDDs 1-4 to the OSR wisdom wiki? 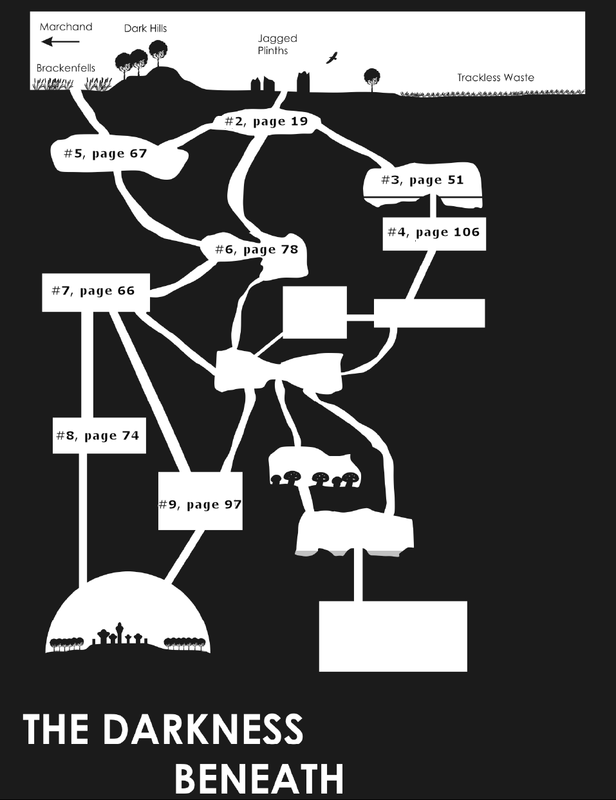 I don't know how to add pdfs and have to go do stuff. "Back in the day Erol Otus put out a set that was crazy intricate, but I've never even seen a copy for sale." Sorry for this second post but, yeah, links, whaddya gonna do. I found the one I "link to" above by searching for "Geomorphic Mini-Dungeon Modules" on abebooks. 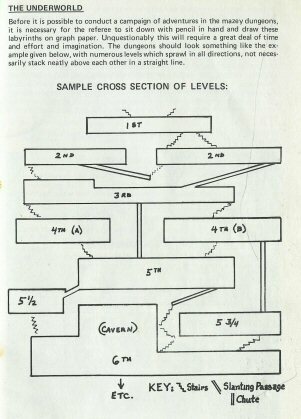 You could assume that a 10x10 vertical geomorph includes potentially two levels, with the geomorph exits in the same places we use for the geomorphs on Dave's Mapper. The default floor levels are thus 30' from the top and 30' from the bottom. You wouldn't be able to turn the geomorph, however. Also, allow doors or other exits to be placed within the geomorph, as in the last example you give, implying connections to a cross-section "behind" the currently-visible cross-section. This helps avoid linear dungeon levels. @Talysman: That's pretty much what I've been thinking. Interesting idea, the only thing I can see that would stop it is how to connect areas on the same level in a visually pleasing way. Maybe having some smaller utility connectors so you can put a small passage next to a giant cavern and between the two have a small piece that visually connects the two. That last one makes want to go back and play Dark Castle! I don't know how you could add what's behind these doors, or if this is too specific. It more than likely wouldn't be too tough to tell the mapper to disable all rotation of tiles if tiles from a specific set or sets were used. I'd be cool with including something like this. Oh crap, darn it, are we really going to do the vertical ones too? Dang it, you know I cannot resist! I started this geomorph "revival" by accident one day while waiting for a doctor's appointment. I'm not surprised that other people are making geomorphs again - I'm stunned that they chose my template as the one to work with. 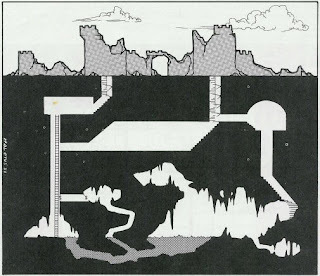 I'm also a huge fan of side-view dungeon design (I've got a module that only has a side view map, and I try to include side views as much as possible in my multilevel dungeons. So yeah, peanut butter and chocolate you say? Side morphs are much harder than regular morphs, for me at least. I find showing the overlapping depths is harder in a side morph than the same thing from a top down perspective. I'll have my first attempt posted later tonight. guess what I watched on the TV today? What's the name of this no-horse hamlet?